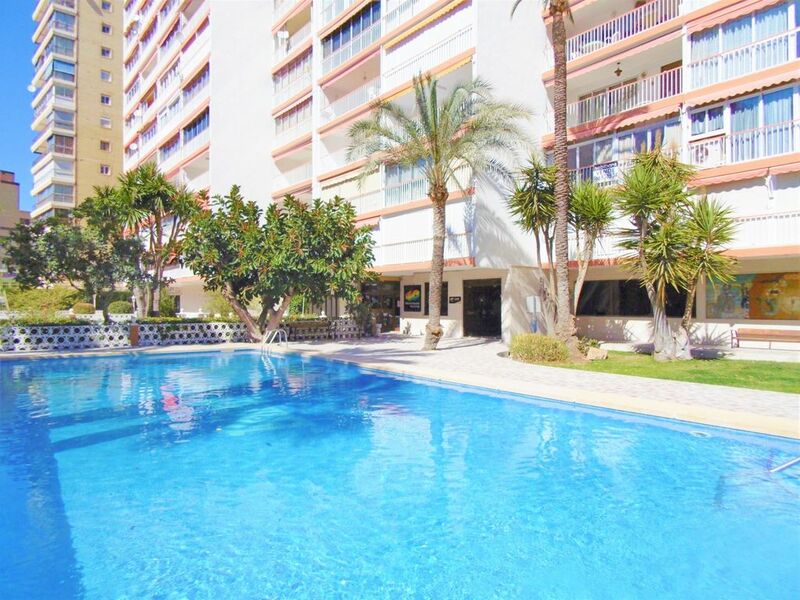 The apartment in Benidorm has 3 bedrooms and has capacity for 5 people. The apartment is comfortable, is spacious, and has 100 m². It has views to the sea and to the mountain. The accommodation is equipped with the following things: elevator, garden, garden furniture, fence parcel, 15 terrace square meters, iron, internet, hair dryer, balcony, childrens area, air conditioning (heat/cold), air conditioning, communal+infantile swimming pool, open-air car parking based on availability, 2 fans, 2 tvs. It is located 10 m from Parada local bus station, 15 m from Pantano La Vila , 50 m from Levante sand beach, 250 m from Indoor Market supermarket, 300 m from Cable ski acuático skiing resort, 300 m from Mas y Mas supermarket, 600 m from Carrefour Express supermarket, 1000 m from Cala del Tio Ximo rock beach, 2000 m from Aqualandia water park, 3 km from Benidorm train station, 3 km from Poniente sand beach, 7 km from Las Rejas golf course, 7 km from Terra Mitica amusement park / theme park, 10 km from Zoo Terra Natura amusement park / theme park, 10 km from Aqua Natura water park, 10 km from Golf Bahía golf course, 20 km from Algar , 45 km from Renfe Terminal Alicante train station, 55 km from El Altet airport, 146 km from Manises airport. The house is situated in an animated neighborhood next to the sea.